Working in the entertainment industry puts you at risk for a wide range of liability issues. Whether you are planning a musical festival or have a band touring across America, having the right protection can help safeguard you from costly claims. Travel accident insurance is one type of coverage that professionals in the entertainment industry should maintain at all times. With travel insurance, you can stay protected from certain financial risks and losses that can occur while traveling. Learn more about travel accident insurance and how an entertainment insurance agency can help you get the coverage you need. There is no one-size-fits-all type of travel insurance. In fact, there are various plans available, each with their own unique set of benefits. It is important to choose a plan that fits your needs, travel plans, and budget. Know that travel insurance does not cover every possible situation that could occur. Read through your policy carefully to determine which specific situations, losses, and events are included in your documents and under what conditions. For the most part, travel insurance is designed to cover most unforeseeable events. This means situations you could not see coming or control. If your claim is covered by your unique policy, travel insurance will reimburse you for your covered financial losses once the claim is approved. Before a claim can be approved, the insurance company will verify what happened by asking you a series of questions. You may also have to submit proof of the accident via a police report and any other evidence you may have. If you are planning on traveling for work, be sure to buy your travel accident insurance soon after making your travel arrangements. The earlier that you purchase the insurance, the larger your coverage window will be. Travel accident insurance is not just limited to individuals who travel in their own vehicles. Most policies will also cover individuals who travel as a pedestrian, or as a driver or passenger in a private automobile. 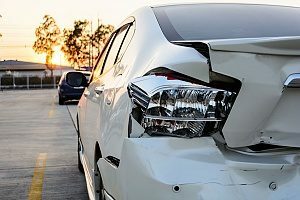 In certain circumstances, travel accident insurance will also cover the costs associated with accidents if you are a fare-paying rider on a bus, taxicab, subway, streetcar, powerboat, train, or ocean liner. Insurance may also provide coverage if you are a fare-paying passenger on a commercial aircraft. 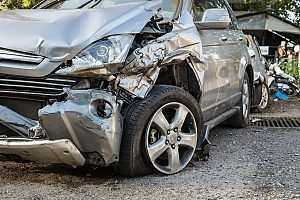 Travel accident insurance essentially acts as a type of life insurance, as well as insurance against accidental dismemberment or death caused by a travel accident. Insurance benefits are generally paid out regardless if the traveler had another type of life insurance or AD&D coverage. Depending on your policy, you may find that your plan also provides coverage for emergency evacuations. If it becomes medically necessary for you to receive evacuation to a medical facility, the insurance may cover the cost of a flight back home. Travel accident insurance may also cover repatriation and round-the-clock travel assistance services. If you work in the entertainment industry, you will likely find travel accident insurance to be highly advantageous. All types of professionals can benefit from coverage, such as traveling producers, filmmakers, and film crews. If you are going on tour as a performer, entertainer, band, artist, or comedian, travel accident insurance can also provide you with the protection you need to avoid costly situations. Individuals who plan and host events also use travel accident insurance when traveling to and from show locations. Coverage is a must-have for any type of frequent business traveler. When hosting a big event or touring with your band, you may not always remain in the United States. If you plan on going abroad for work, be sure to obtain a policy that provides worldwide travel assistance. This type of coverage typically provides reimbursement for medical emergencies, emergency travel, and pre-trip information services. Depending on your needs and budget, you can gain access to a plethora of benefits, such as coverage for accident medical expenses, disability, coma, paralysis, permanent total disability, and similar conditions. If you are traveling as a group for work purposes, then you may find that acquiring group coverage is more affordable than purchasing separate policies for each individual. Group coverage for travel accident insurance is usually available to groups of three or more people, and may include individuals such as consultants and volunteers. Group travel accident coverage may cover a variety of situations, such as unexpected cancellations, trip interruptions, evacuations, emergency medical care, and baggage coverage. The cost of this type of plan will depend on how much coverage you need and the number of people in your group. If you have employees who travel on business domestically or internationally, having travel accident insurance can be highly beneficial for all involved. This type of protection is specifically designed to offset the potential risk and loss of any key employee and to compensate the families of these employees for any lost income due to accidental death or permanent disability. Travel accident insurance can be customized for all types of groups, allowing employers to get the best coverage possible. Employers can also choose to purchase travel accident insurance for employees on an individual basis. You can never predict what will happen when traveling. 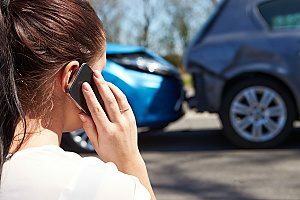 Having adequate protection for any sudden or unexpected accidents or losses as a result of a travel accident can provide great peace of mind during your trip. Having travel accident insurance is not only important for your own wellbeing, but also for your family’s health and comfort. Having coverage means that your spouse and children will be compensated if you are seriously injured while traveling. For more information about travel accident insurance or to learn what steps to take to gain coverage, contact an experienced entertainment insurance agency today.